The Bang Gang DJs are established as Australia’s unrivaled premier night of twisted musical eclecticism. Jaime Doom, Gus Da Hoodrat, Dangerous Dan, DJ Damage and Ajax, along with maitre d Nolan Nolan redefined what it was to push the boat out in Australia, and have quickly become famous for their parties, DJing and mix sets all over the world. Wednesday, March 12 1:00 a.m. Uh yeah, SXSW? Get the friggin' link right, will ya? Afrobots: Sounds Like "Neneh Cherry & HR from Bad Brains making love and having a baby grimier than Shabba Ranks ..."
March 12 -16 in too many places to count. 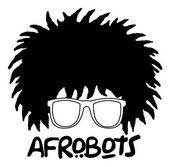 Check the Afrobots 'Space for updates. Acclaimed American progressive rock legends Rocket Scientists will perform at the world renown progressive rock festival Baja Prog XII in Mexicali, Mexico on Thursday, March 27th, 2008. The band will take the stage from 8:30PM -10PM. Rocket Scientists' core members Erik Norlander, Mark McCrite and Don Schiff will appear at the festival along with select guest musicians including symphonic rock diva Lana Lane and guitarist Jim Williams. This concert follows on the heels of the release of Rocket Scientists ambitious DVD/4-CD box set "Looking Backward" through Think Tank Media and ProgRock Records. More information about Rocket Scientists. Who? Is this indie? I mean - enjoy! On the heels of Bandit A&R newsletter's birthday - 20 years of serving musicians, songwriters and music business professionals around the world - editor John Waterman is proud to announce an additional report available free with new subscriptions. New subscribers may now receive 4 issues plus 2 reports for $2 (one pound). In return for the investment, you will receive Bandit's 4 latest PDF newsletters and the upcoming issue at the end of the month plus "The Bandit Guide to Sending Demos" and "How to Get Noticed by the Music Business". And for this month only, subscribers will receive free access to part one of the acclaimed 10 month course "How to Make a Million $ from your Music. For more information about more opportunities for musicians or to subscribe to Bandit A&R Newsletter, please visit http://www.banditnewsletter.com/birthday. Do you miss your vinyl? No, I don't mean your Wham album that turned into a Dali sculpture after your sister left on the window ledge. I mean the obscure treats you used to find at record stores and pawn shops with names like "Standing Room Only" by Dennis Awe aka The Velvet Touch, "Music for Happy Occasions" by Paul Pincus and His Orchestra or Beer Garden Musik by who the hell cares let's drink and dance the polka? You need to hit up Our Lady of Perpetual Obsolescence Vinyl Rescue Mission and Orphanage. It's the last safe haven for forgotten and downtrodden record albums.